The natural lure of lazy sun-filled days on white sandy beaches and the azure picture of the sea all set in an island full of extraordinary beauty... If you're looking for a Caribbean Wedding The Big White Villa presents a fascinating diversity of options. Whatever your budget or style, from swanky and luxurious to simple and relaxed, we will make your special day perfect for you. When planning a wedding there are so many things to organize, but if you choose The Big White Villa the only thing that you need to do is book your flights. We will take care of the rest! The Big White Villa's professional wedding planning team will make your wedding day a day to remember. Whether you're looking for a small intimate gathering or a large-scale feature, our wedding planning team will take care of everything. All of our weddings and receptions are arranged with the finest attention to detail. Getting married in Jamaica is easy and every care is taken to make sure your wedding day runs smoothly and stress-free. With sun all year round, the most unforgettable sunsets and sandy beaches, Jamaica is the ideal setting for weddings and honeymoons. Visitors can be married just 24 hours after arriving in Jamaica providing prior application has been made for a marriage license. To get the license, couples need only to submit certified copies of their passports, birth certificates and proof of marital status. It is as easy as that, we will do the rest! Our professional team of wedding planners and organizers have been doing weddings in Jamaica for many years. We are committed to arrange your wedding when you want it, where you want it and how you want it, leaving you to concentrate on what is important to you – each other. We will not leave you in the air about the details. We will inform you each step at a time. 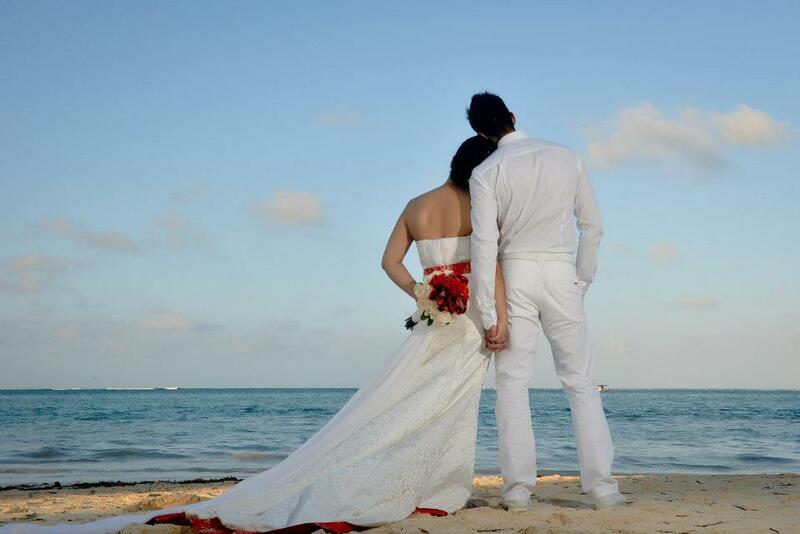 We are an established company with many years’ experience organizing weddings in Jamaica. We have built up an extensive network of professional wedding service suppliers which means we can provide almost everything you desire. We will work discretely alongside you before and throughout the day to make sure everything goes as planned. We will help to make the day one of the most memorable days of your life. You will not be disappointed! Decide on the ceremony type, wedding, venue and chosen date. If it is available, we will reserve it for you. You can then consider the whole day and how you would like to spend your reception, who you would like to be there and of course your budget. Then you can reserve your booking; we can communicate this via Internet, telephone or by post, whichever you prefer. Your venue, exact dates and times will be confirmed under your names. That is guaranteed! You can now start focusing on wedding extras. 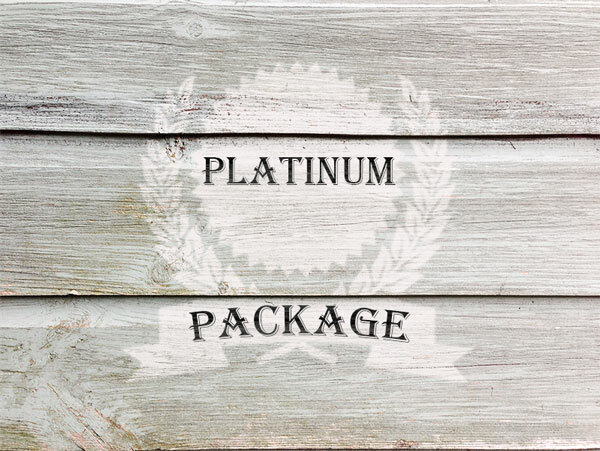 Would you like to choose from our wide range of packages or would you prefer something tailor-made for you? 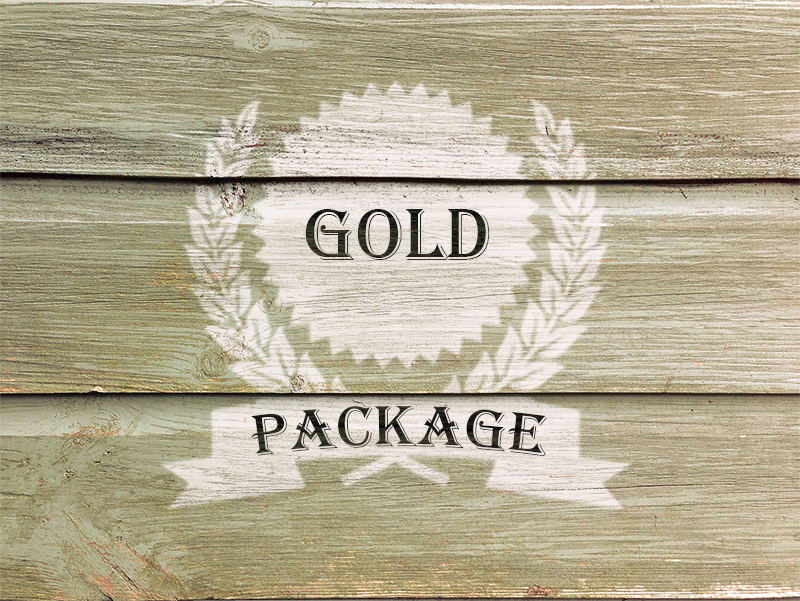 Don’t forget, all our packages are flexible, so you can mix and match to suit your needs. Concentrate on all the paperwork required. Wedding dresses, suits, invitations etc, in your home country. Your arrangements in Jamaica will already be well in hand! Your dress is almost ready, all your guests have replied, and we have the paperwork we need from you. The day is getting closer and you are beginning to panic. Don’t worry, just call us. We will set your mind at ease. Time for your stag and hen parties! Checklist: all necessary documentation, passports, wedding rings, currency or traveller’s cheques, sun cream and lotions. Make sure you have packed everything you need, then double check. Congratulations, you’ve made it to your Caribbean Dream Wedding! The day after you arrive, our wedding coordinator will visit you and will guide you through all the necessary pre-wedding appointments and formalities. Enjoy the next couple of days before the wedding. Relax by the pool and top up your tan, enjoy a massage or the jacuzzi. There is no need to worry about a thing as we are on hand 24/7 to help. We can provide several alternative wedding entertainment options that will add that extra touch to your wedding day, such as a Caribbean themed party. This party can take several forms and it can be as low key or as upbeat as you require, from Steel Pan Bands to Limbo Dancers, Reggae Bands, Ska Bands or a Reggae Cabaret Singer & Band who can organise dancing competitions between your guests and even Limbo Dance. The Big White Villa Dream Wedding team are delighted to guide you through all the options available for your wedding or civil partnership in Jamaica. In choosing Jamaica as the location for your special day, you are alreadyahead of the game as Jamaica has always been known for being romantic, with its long sandy beaches and beautiful sunsets, many couples choose this island to exchange their vows. Whether your wedding in Jamaica is religious or civil, The Big White Villa Dream Wedding team will make it special, ensuring you have a reliable and professional service from the first contact right through to your wedding day. Whether you hold your wedding in an atmospheric church/chapel or on the grounds of the Big White Villa in the glorious Jamaican weather, the Big White Villa Dream Wedding team will ensure the magic of the day will be remembered forever. 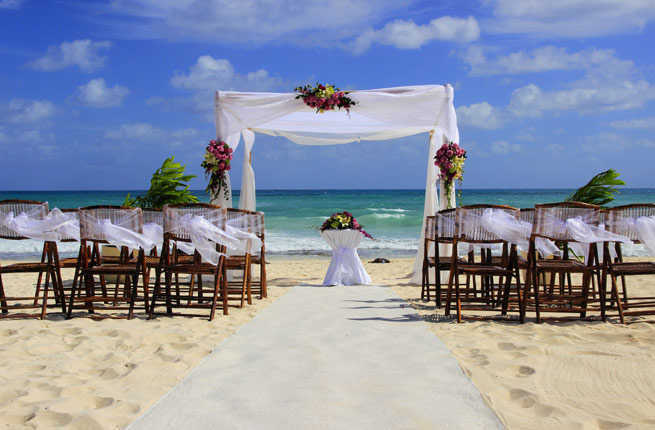 Arrangements can be made with any church or chapel for a religious ceremony within Ocho Rios. A small service charge would be requested in the form of a donation, plus the compulsory marriage license fee. To have a church wedding, the couples are required to have some counselling with the church officer. However, this could be done a day or so prior to the wedding. The service lasts about 30 minutes and is performed in English. Before, during and after the wedding ceremony a CD of classical music will be played along with the chosen hymns to be sung by the couple and guests. Couples are welcomed to bring their own music, but it must be in keeping with classical or easy listening music. This detail would be discussed and arranged during the couple’s pre-marriage meeting with the church official and The Big White Villa Dream wedding planner. These can be held anywhere, the most popular being Beach, Poolside and Garden ceremonies. 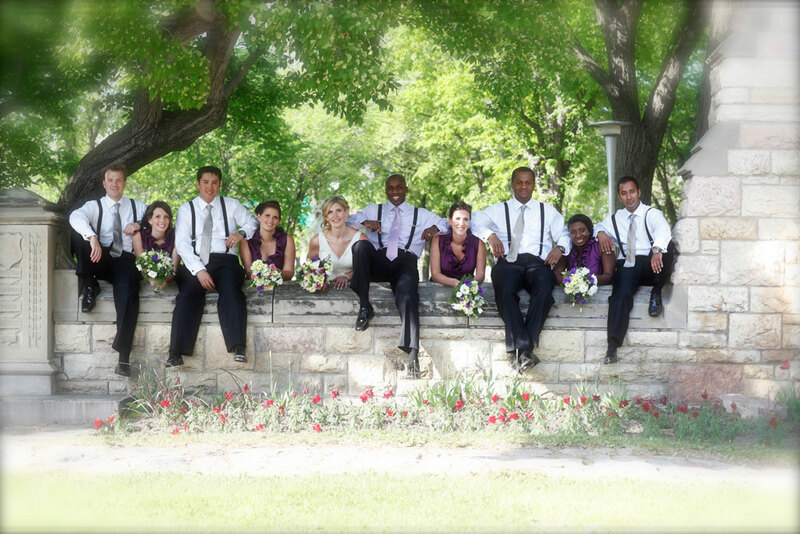 The Big White Villa house and gardens is an ideal location for any civil wedding. A dynamic alternative to typical wedding locations, the villa provides a host of exiting activities. From the moment you arrive at our tropical oasis your special wedding will be an affair to remember. Exchange vows on the beach as a brilliant sunset melt into the horizon or under a garland of flowers in our romantically decorated gazebo. Walk down our wood staircase, stand above your guests on one of our balconies or have a garden paradise setting in our private gardens. Our property is at your disposal. Committed to flawless service and gracious hospitality, The Big White Villa offers a full range of services for memorable once-in-a-lifetime events. Allow our professional staff to handle all the paperwork and arrangements, including a minister. Wedding Receptions As well as the wedding ceremony, The Big White Villa is the ideal host location for your wedding reception. You may choose to use any of the two main indoor lounges; both can accommodate small parties of up to 30 guests in total for dining followed by continued celebrations. Alternatively, you may choose to use the pool decking area or the roof gardens, depending on the size of your party. The villa also has its own bar and our chef has a reputation for excellence. He can tailor make any menu options you desire. The Big White Villa is the ideal venue for those looking for a private and personal celebration. Getting married on a Caribbean Island will always be an affair to remember. Tying the knot in Jamaica is easier than ever and your wedding can be as extravagant or simple as you like. Below is a list of our Wedding Packages. 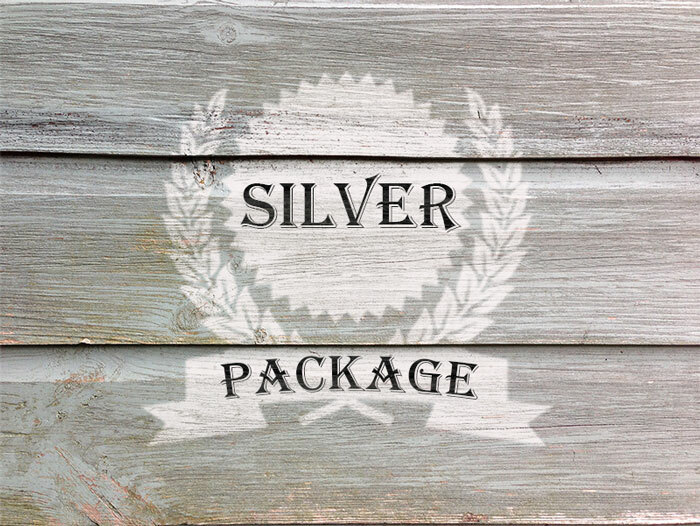 Package for 2-10 people, additional guests will attract a surcharge. Package for 2-30 people, additional guests will attract a surcharge. Larger weddings can be arranged. Renewal of vows and special honeymoon and anniversary extras available. Let me start by saying a MASSIVE Thank you!!!! From start to finish you and Fran have taken care of everything and I have had no stress, It is hard to imagine getting married especially a wedding abroad, but you did a perfect job. The communication between us was brilliant and you always answered my emails with many stupid questions I had, Thank you for giving me all the options, I wouldn't have had a clue. Your Villa is simply perfect, a stunning location with breath taking views and beautifully decorated rooms, a real home from home experience and one that none of us will forget. Anne Marie the house keeper is a true star, she helped us every day and even cooked for us. The wedding was my perfect day. The Hairdresser was superb, the chef did an outstanding job with complements for the bestever soup!! The decoration was beautiful and brought a tear to my eye and I know Marlon was very impressed, so thank everyone for that. The band, I wish we could have kept them on longer absolutely brilliant!!! And loved by everyone. A massive thank you to Fran for the wedding DVD, was so nice to have, our room was outstanding having champagne and petals in, a moment I will cherish. I was happy with the cost of everything and I would highly recommend your services to others. Everything was so well organised and flowing, the wedding songs were loud and clear, and Fran did a perfect job being there on the day, would have been lost without her. The pastor was professional and lovely too. I hope I haven't missed anything, I could talk forever. Thank you again and you may be seeing us again!! A marriage license is necessary before any wedding can take place in Jamaica, whether your ceremony is religious or civil. All documents must be notarized and sent to The Big White Villa Weddings at least six weeks prior to the wedding date and the originals given to the wedding coordinator upon arrival on the island. Please note if documents do not arrive six weeks prior to the wedding, a late fee of US$150 will be required to process license. Please note that a non-refundable 50% deposit is required to confirm all wedding dates and time. For deposits toward receptions, a contract will be done which will display a payment schedule. We ask that clients adhere to the payment schedule to avoid cancellation or relocation of weddings. As soon as we receive your confirmed acceptance of our services by either fax, e-mail or post, we will immediately register your ceremony date and time. A deposit of 50% must then be paid within 14 days of your agreed acceptance. If we do not receive payment within this time frame, we reserve the right to cancel your booking and make it available to other clients. Details of payment will be issued to you via e-mail, fax or post. Once we have received your deposit, confirmation of your booking and further details will be forwarded to you. The remaining balance can then be paid before or after your arrival in Jamaica. If you choose to pay the remaining balance on arrival this must be paid during your first meeting with your personal wedding planner. No further arrangements can be made with regards to your wedding until full payment for services and wedding package has been made. If, due to circumstances beyond your control, you must cancel the date of your wedding we will do our very best to reschedule your date for you although being able to process another requested date and time can be limited with short notice. However, if you cancel your booking completely within one month of your arrival date and full payment has been made no refund will be given. In the case of a cancellation where more than one month’s notice of the date booked has been given a 50% refund will be returned on all full payments. The deposit paid to secure the booking is non-refundable regardless of when a cancellation may be given. Refunds are given on full payments only when the above notice is given. Any refunds made by The Big White Villa Dream Weddings other than what is stated here are at the discretion of the company and the decision is final. Please check thoroughly that you have all the correct documents and original copies that are required before you leave for Jamaica as we cannot be held responsible for any incorrect documentation. As we wish your wedding arrangements to be as stress-free as possible, we request that you fax the documents you intend to bring with you at least 6 weeks before your arrival date to ensure your peace of mind. Photographs and information used on this website are for guidance only. The Big White Villa Dream Weddings cannot be held responsible for not providing the exact representation shown. 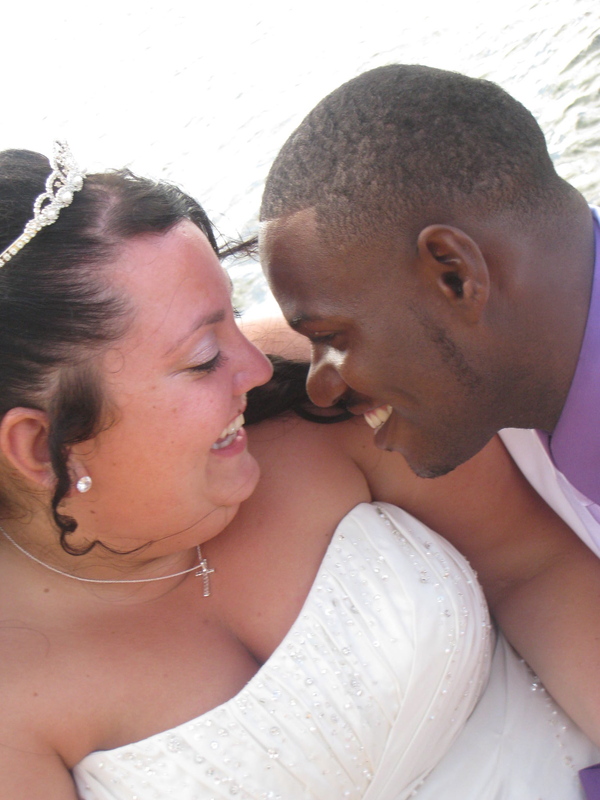 All photos are taken in Jamaica and belong to The Big White Villa Dream Weddings company.